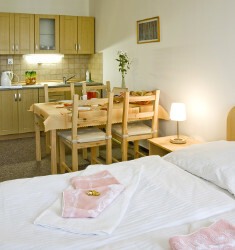 Recently renovated guest house Nisanka offers you high quality accommodation in the peaceful area of the town Bedřichov. 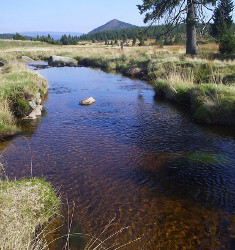 If you want to get to know the wild beauties of the Jizera Mountains and stay in a comfortable guest house with reasonable prices for the accommodation, please book your stay here! Bedřichov belongs to the most popular sport and relaxation centres not only in the Jizera Mountains and the Liberec region but also in the whole of the Czech Republic. The greatest attraction is the Jizera Mountains Ski Trail, a net of well kept trails (around 130 km). They are used by skiers in winter and cyclists in summer. Downhill skiers can enjoy the slopes in two ski-resorts in the Bedřichov area – one in the town itself called Malinovka and another one called Severak over the village Hrabětice. 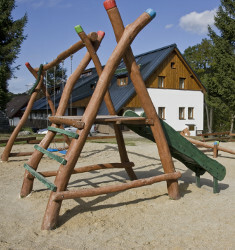 The guest-house Nisanka in Bedřichov is the ideal starting point for both your winter and summer enjoyment.